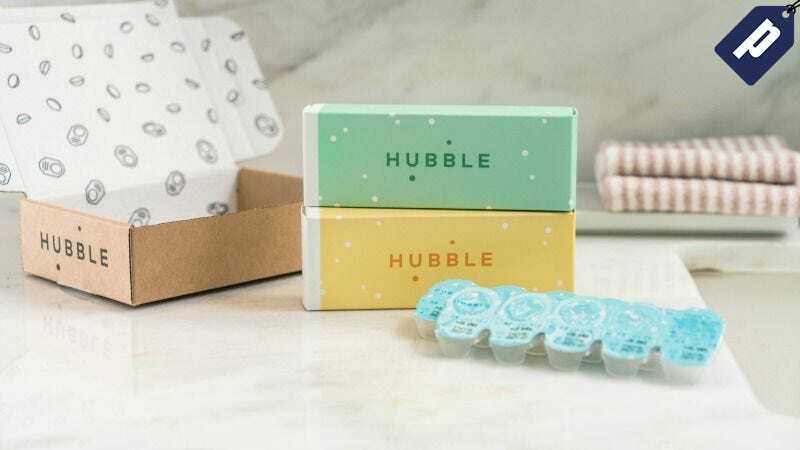 Hubble is the first direct to consumer contact lens brand, delivering daily contacts to subscribers on a monthly basis. Get your first order (two weeks) free and just pay the $3 shipping and handling fee. After which you’ll pay just $30 monthly. Submit your prescription (power options range from -0.50 to -12.00 and +0.5 to +6.0). Toric lenses are not yet offered but should be later this year. Next, find your doctor’s name in their database or enter it manually if they’re not listed. From here you simply check-out by entering your billing and shipping information. Note: Hubble will confirm your prescription is up to date and verify it with each subsequent order. If your prescription has expired or you don’t yet have an eye doctor you can set up an exam directly in their system. Daily contacts are the healthiest option for your eyes, and knowing there’s always a steady supply coming to you from Hubble, you’ll never over-wear a pair. Get your first two weeks free and experience the ease of one time set up for daily contacts. Hubble contacts are now also available in Canada.